The Arabian Wildlife Center in Sharjah is a wonderful place to visit, especially if you’re looking for a real natural lands area. 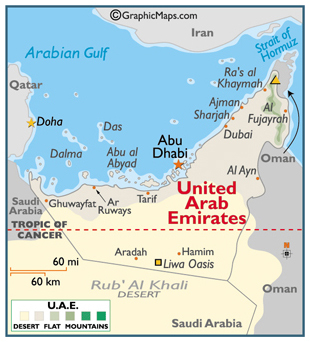 All the wildlife that is naturally part of the Arabian Peninsula can be found here. Quite simply, the Arabian Wildlife Center brings to the center of attention all the wildlife that’s heading towards extinction. Other species of animals are featured as well, with over 100 different types of animals available for viewing. As you enter the Arabian Wildlife Center, you will see a presentation video welcoming you to the center. The tour will take you through the reptile, fish, and insect house in order to get you more accustomed to the wildlife in the area. After seeing the initial presentation, you’ll know what to expect from the structure of the rest of the park. A bird aviary delightfully displays the many birds present in the area. Remember, the Arabian Wildlife Center is complete. All of the available species of animals, naturally present in the surroundings, can be viewed up close and personal. There is even a walk through cave available, featuring a cave pond teeming with aquatic life. The blind cave fish in the pond don’t have functional eyes! The fish grow up in a pitch black environment, so the need to develop eyesight was never required. The nocturnal house displays a great deal of wildlife that like to come out at night. Porcupines, foxes, hedgehogs, mongoose, and more are all at home in their naturally preferred habitat. The larger animals in the park are more interesting to look at than the smaller species. Well, they are more daunting at least. Baboons, wolves, cheetahs, hyenas, and the extremely rare Arabian leopard can also be found here. The insects on display are as varied as the landscape, providing an up close look at what few people ever get to see in real life. Smaller cats of the desert are also on display, providing you with a visual wildlife feast for the eyes. All in all, this wildlife facility has enjoyed incredible success with a number of endangered species, keeping them in existence and on display. Located in Sharjah, the wildlife center is open Tuesday-Sunday, and closed on Monday. It opens at 9 AM every morning and closes at 5:30 PM. 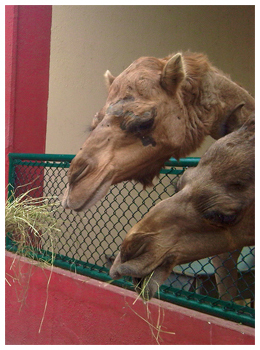 Check it out, the Arabian Wildlife Center is exactly what every animal, insect, and aquatic life lover wants to see. You can take your friends, family, and co-workers here for a break from the norm. This wildlife center falls under the jurisdiction of the Environment and Protected Areas Authority of the Office of the Ruler of Sharjah, and you can count on their continued efforts to keep this part open for everyone.